Today we’re chatting to Mel from Filles à Maman. 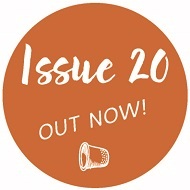 Mel contributed the Jolie Skirt to One Thimble Issue 10 – which has been our first bi-lingual pattern. It comes with both English and French instructions – how cool is that! 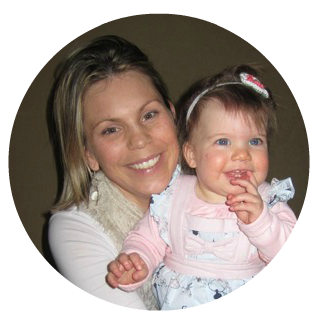 Mel is a French-Canadian designer, mother of 3 girls. That’s where the name ‘’Filles à Maman” (Mommy’s daughter) comes from. 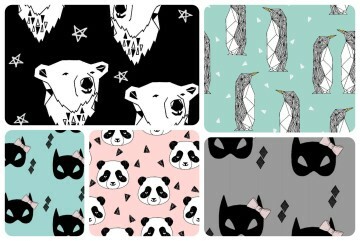 Her designs are modern and simple and her patterns are evolving with her customer needs. She loves to work with testers to bring the pattern to a higher level. How did you get into pattern-making? Sewing has always been part of my life. In good and bad times, there was always a sewing machine nearby. It was only with the arrival of my three girls that I wanted to get into digital pattern design. I had trained as a designer, pattern maker, but paper and pencils were my favorite medium. It was a challenge to learn how to create, digitize my models on a computer screen. I am really proud of what I have accomplished so far and I hope this is just the beginning. My daughters are my best critics. They love, they hate, they feel clothes like no one. If they don’t like it, no one will. Read, Read, Read. Take a coffee. Read again, then cut your pattern and fabric. 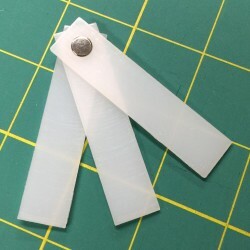 What’s your favourite pattern / thing you’ve sewn? I want to make a lot of things, all at the same time. My biggest problem -yes it’s a problem- is that I have too many ideas. Patterns ideas, fabric ideas, blog ideas. Sometimes it’s hard to focus on what would be the best thing to work on next. Right now, I am working on an update for my most popular pattern with a woman’s version. I like to commit myself because that kind of boosts me to finish it. 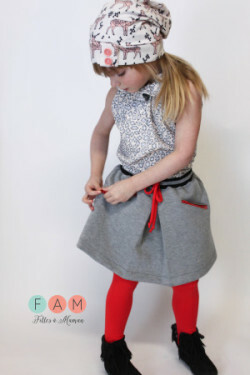 You can purchase Mel’s pattern for The Jolie Skirt as a single PDF HERE or visit her website to see more of her sewing patterns HERE or purchase Issue 10 which contains this pattern HERE. 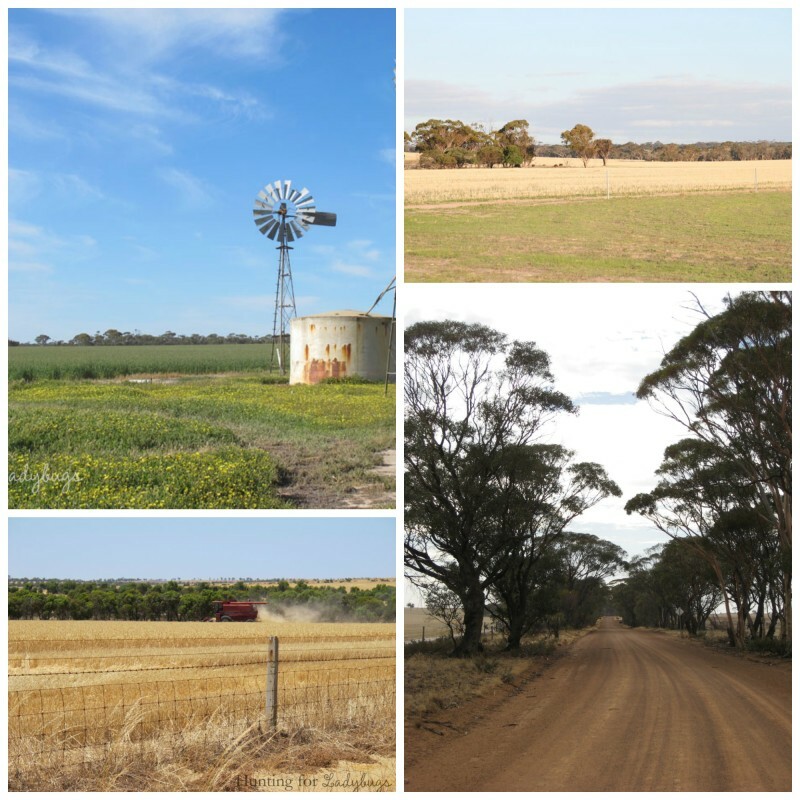 Today we’re starting a new blog feature – Business Spotlight! I want to introduce you to some of the wonderful businesses who I shop with and who support One Thimble. The first business up is Fabric Fox. I brought the fabrics for my Mum and my neighbours Christmas gifts from Jacqui and used the Fold Over Clutch pattern by Little Moo Designs to make these. I’m so pleased with how they turned out and it was such a pleasure to shop with Fabric Fox. 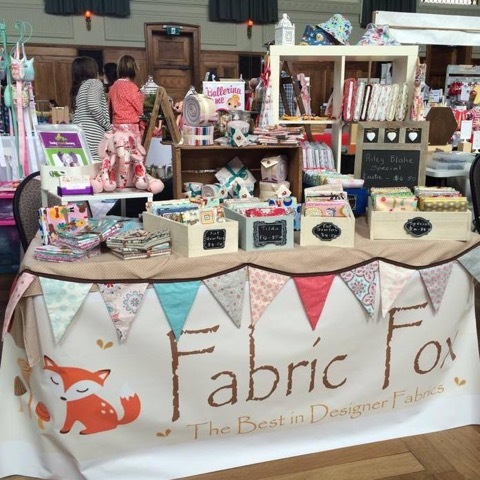 So without further ado – let’s have a chat with the lady behind Fabric Fox – Jacqui. Tell me a little about your business – when did you start? What prompted you to go into business? 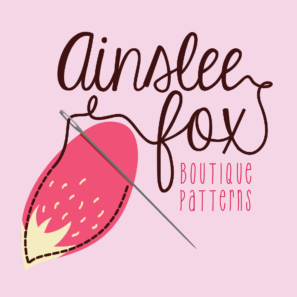 Fabric Fox is an online Designer Fabric Store, we stock gorgeous quality designer fabrics from around the world, including wovens, knits and spandex. 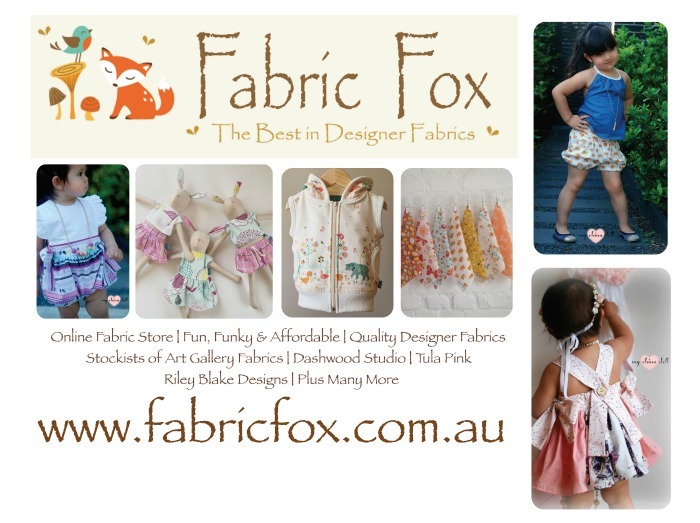 The Fabric Fox website was launched in August 2014 after my husband put the idea in my head. 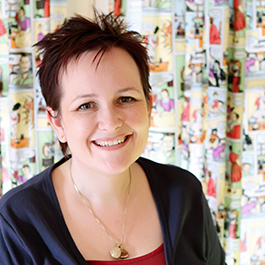 I’d always wanted to have my own little business for years but wasn’t sure what to do, I loved sewing and had a ‘little bit’ of a fabric addiction and my husbands said ‘why don’t you just give it a go’ so…l did. We haven’t looked back, its great being able to work from home and still have time to do all the Mummy things with the kids. What can people expect from Fabric Fox? Excellent customer service and quality designer fabric at an affordable price. Tell me what you look for in the fabrics you stock? So far l have been ordering fabrics that l would like to sew with and current trending fabrics. I also love getting request for particular fabrics and trying to get them in, so if you are after something in particular contact me and l’ll see what l can do. What coming ranges are you excited to stock? March/April 2016 and is available to pre-order now via the Fabric Fox website. 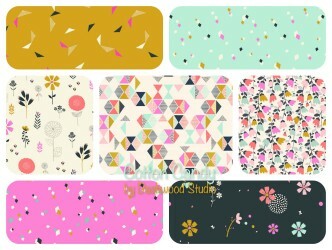 Candy is a bright collection of fun geometric and floral prints. Cotton Candy is available to preorder. GOTS certified. Also available to pre-order via the Fabric Fox website. design. These new colours are coming soon. I have also re-ordered a lot of the popular designs from over the past couple of months, so keep an eye out for their return!! Yes l love to sew and would love to have more time for it. I am self taught and brought my first sewing machine after my son (now 5) was born to make him some cot sheets. It wasn’t until l has Miss 3 that l fell in love with sewing children’s clothes and my other little hobby business was created, Fox n Fillies. I used to sell the children’s clothes at local markets, its something l’d love to get back into some day soon!! Oh l have a few things the first most exciting thing…we have baby no. 3 on the way, due in July!! I can’t wait to start sewing some baby clothes & blankets soon. Secondly before starting a family l was a Exercise Physiologist/Personal Trainer, so l guess you could say l have had a career change! I still love keeping fit & eating healthy but l’m really enjoying my new adventure, having my own little business, Fabric Fox. 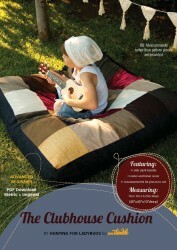 SPECIAL OFFER: Check out page 60 or page 108 of One Thimble Issue 10 for your free shipping code. The Free Shipping offer has been extended through till Friday 4th March! 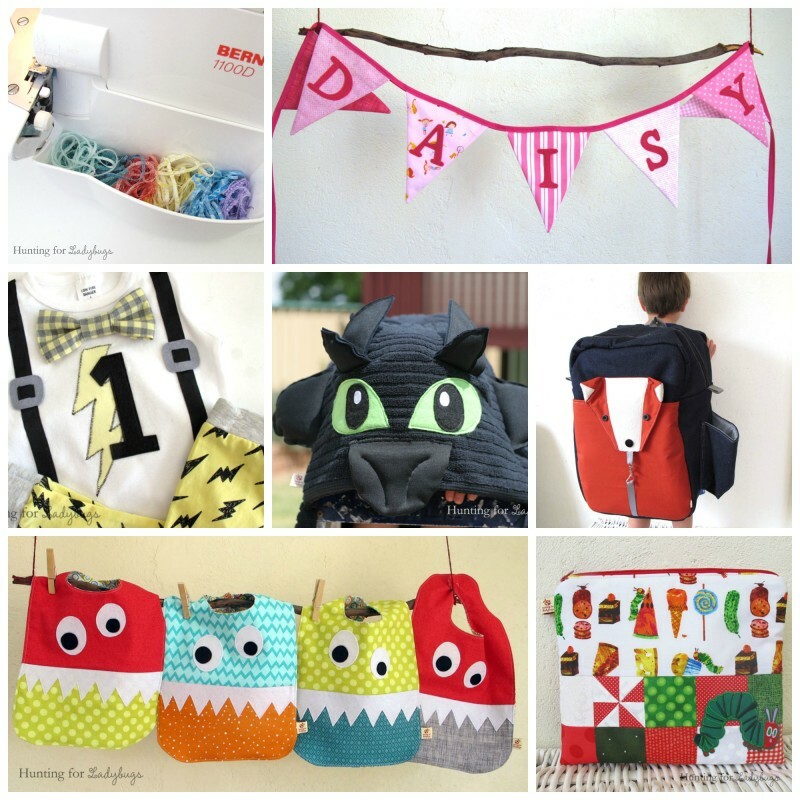 Today we’re chatting with Emma from Emkie Designs. Emma has contributed The Adventure Case pattern to One Thimble Issue 10.
using her knowledge of teaching, strives to help you create the bag of your dreams! 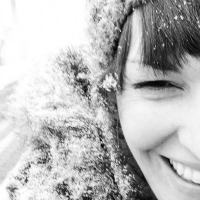 Because of this change in direction Emma has recently re-branded as Emkie Designs. How did you get into making bag patterns? Before reading about how I got into making bag patterns, you probably should know that before 2010 I didn’t sew. I had done a few textile classes at high school, but I didn’t really remember how to use a sewing machine. I don’t come from a family of sewists. 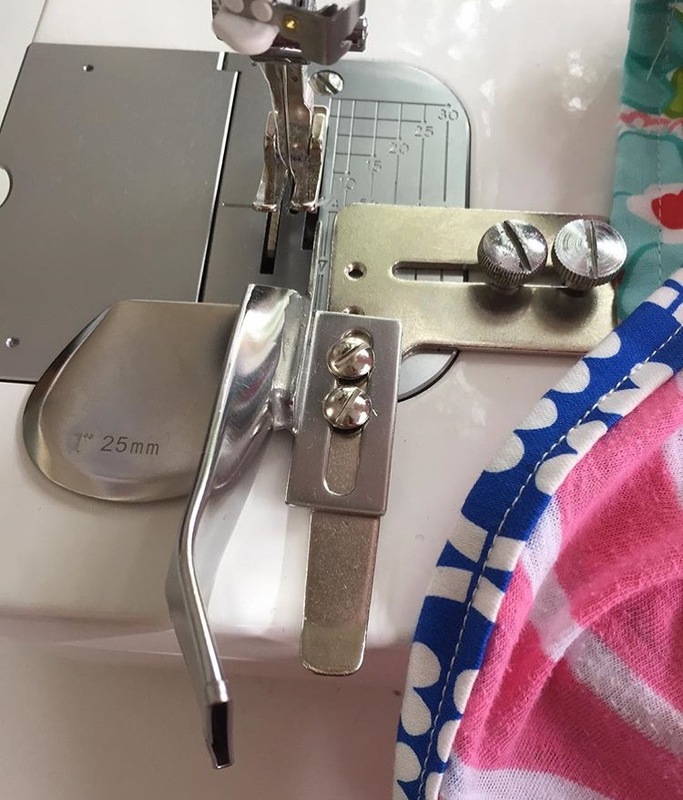 My mum did own a sewing machine that she got when she was married around 38 years ago, but it has always lived in its case in the cupboard – I never have seen her use it and I didn’t grow up wearing “mummy made” outfits. In 2011 when I was pregnant with T, Hubby and I were away for his birthday (one of the last trips we took where it was just the 2 of us), and we walked into this fabric store because I had seen a beautiful toy in the window. 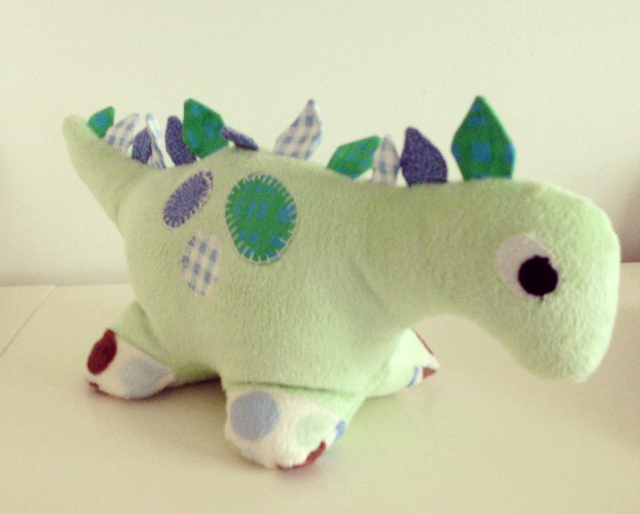 I walked past all the fabric grabbed the toy and asked how much it was – I was promptly told it wasn’t for sale, but I could purchase the pattern and make my own. 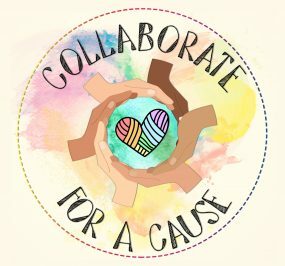 I looked at all the patterns they had in store and ended up choosing a different one to the toy that had originally grabbed my attention, I paid for it and walked out of the shop – no supplies or fabric were purchased that day. Back at our hotel, I read the pattern and thought “I can do this” and when we had traveled back home again I borrowed my mothers unused sewing machine and had fun going to the fabric store and choosing fabrics. After a short time “Dilbert” was born and he waited patiently for the little baby in my tummy to arrive and love him. I made a few other things prior to T being born, and had discovered a new passion and hobby in sewing. After T was born I found myself at the shops a lot. It was something to do while T slept in the pusher, except it was terrible for our household finances. 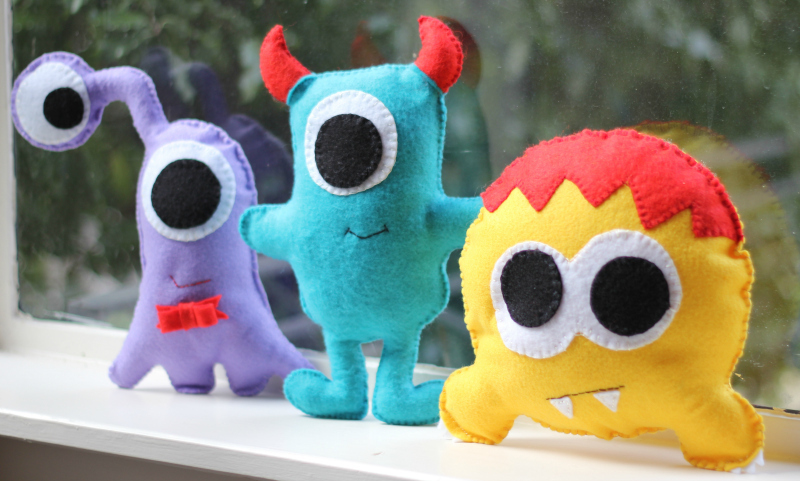 So I stopped in at the fabric shop on one of these trips and purchased some felt and began hand sewing (I had returned the borrowed sewing machine)…this is when I designed my first 3 softies. When I was pregnant with M, I needed to take a step back, it was a hard pregnancy and I was no longer enjoying making toys as much as I once had. I decided to focus on sewing for family, friends and myself. I also began designing what would be my 1st bag pattern. 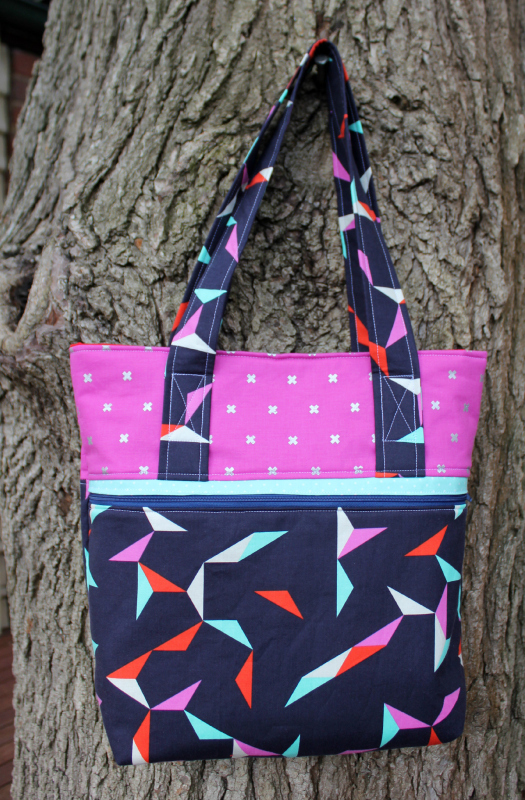 It was a long process as I had no idea what I was doing 😉 but with some help from Samantha (Mrs H) I found my confidence and released my Everyday Tote Bag Pattern on February 2nd 2015. 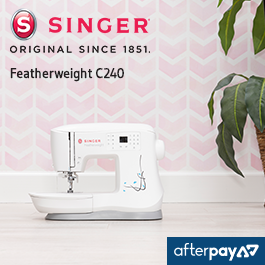 Where do you design and sew your patterns? Until last year I had a corner of our family room as my sewing space. But once I had purchased my JUKI TL-98P, I needed more space away from little fingers, so I took over half of our “+” room – you know the room I’m talking about…when real estate agents say “3+ bedrooms”? 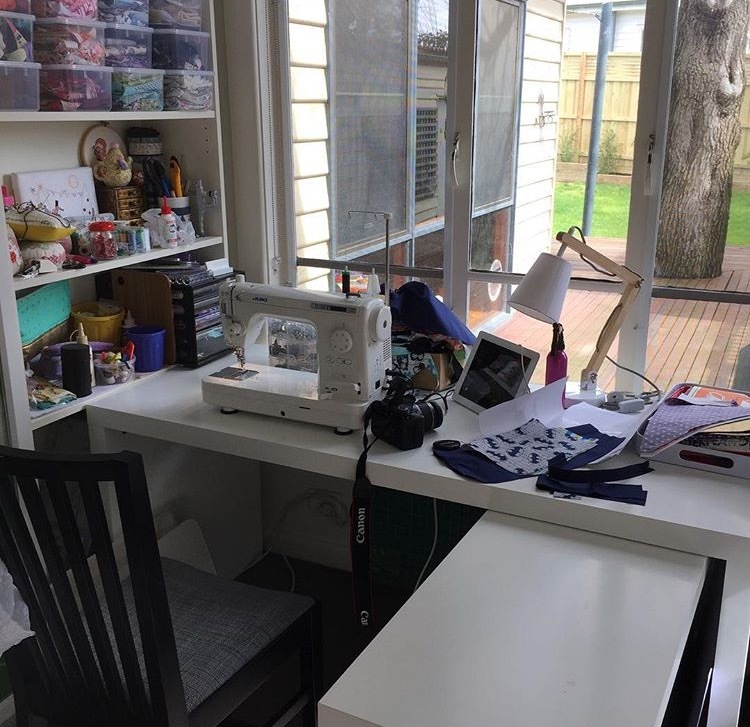 So, I have half of our “+” room which is where I sew and it is really small, 2 steps and I’m on the other side of the room to where I started 😉 But I love it because its mine! As for designing my patterns, that I usually do sitting on the couch in the family room. I sketch there, I write the pattern there, I draw the pattern pieces, edit the pattern photos, etc. Basically I do all the computer work involved in producing a pattern on my couch. 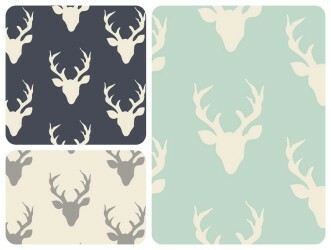 Do you have a favourite pattern – if so which and why? This one is hard…I have so many favourites I don’t think I can choose! Whats something that people might not know about you? I am a self taught sewist, and have been sewing for around 5 1/2 years. 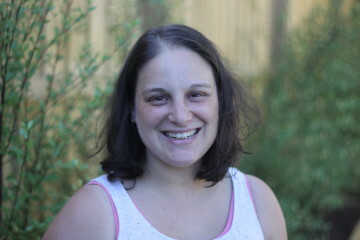 I am also a qualified teacher, I am trained in Contemporary Arts and Psychology, and I taught in schools for 9 yrs (teaching teenagers) prior to starting our family in 2011. Do you have any news that you would like to share with our readers? Of course! As you are probably aware…I currently have a pattern that has been published in Issue 10 of One Thimble e-zine – The Adventure Case, it is a vintage style insulated lunch tote. Also I will be teaching at a bag making sewing retreat (the Bag Fanatics Retreat) in September and I’m super excited about that! I hope to do some other teaching this year too – I’m a teacher by trade and have really missed it, so opportunities like the sewing retreat, or any others that come my way are too hard to pass up! You can purchase Emma’s pattern for The Adventure Case as a single PDF HERE or visit her website to see more of her sewing patterns HERE or purchase Issue 10 which contains this pattern HERE. 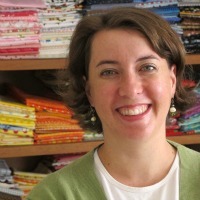 I first “met” Lisa last year when she contributed an article with tips for establishing a PDF pattern business to Issue 8. 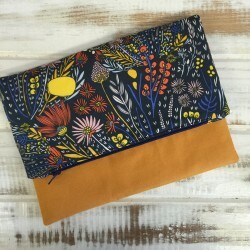 I was so pleased to welcome her back with her The Statement Clutch pattern in Issue 9 and I’m delighted to share here the interview we had recently. 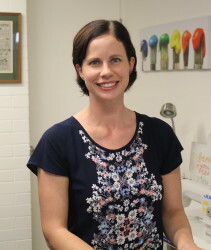 Lisa began sewing at a very young age and has dabbled in many different types of sewing and craft projects over the years. 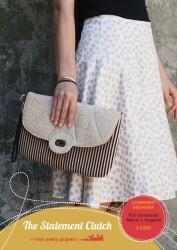 She has always had a love of bags, so much so that she decided to start designing her own! 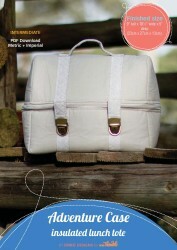 Producing expertly written, easy to follow PDF sewing patterns for practical, everyday bags is what two pretty poppets’ is all about. Can you tell me a little about how you got into sewing/designing patterns? My mum actually taught me to sew many, many years ago when I was maybe 8 years old! So a lot of what I know is all thanks to her. I’ve dabbled in lots of different projects over the years, but feel I’ve finally found my calling in bags. 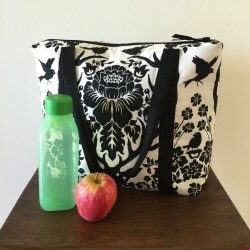 My first pattern, the Insulated Lunch Bag, came about after I went looking for a larger lunch bag to store my daughters’ Tupperware lunch boxes in flat (not tipped on their end) and their drink bottles. I couldn’t find anything suitable and so a friend suggested I design my own! I pondered that idea for awhile and played around with different ideas before settling on the style you know so well. Following that pattern, I kind of just kept going! What is your best sewing tip or do you have a favourite haby item that you couldn’t live without. Probably my best sewing tip would have to be to read the instructions FIRST! I know so many of us, including myself, are guilty of glancing at the pictures in a new pattern and zooming ahead with what we think the pattern is telling us to do, not what the pattern is actually telling us to do! I’m not a huge fan of unpicking my work (who is?) and although it takes a little bit longer to pause and read the next few steps, it really does pay off ten fold!!! As for my favourite haby item, well it would most definitely have to be the height compensation tool I got when I bought my Bernina B350 last year! I’ll admit, I had to look in the manual to find out what the heck this three-layered perspex thing was, however once I started using it, I quickly fell in love with it!!! When it comes to making bags, it is SUCH a helpful little tool that it’s never far from my machine! If you’d like to find out more about using this tool check out this blog post HERE. Oh gosh, now you’re asking the hard questions! I think what inspires me most is my customers and the beautiful creations they come up with! I love seeing their fabric combinations and variations of my patterns, and that in turn will often give me ideas for new patterns or pattern hacks etc. I have so much I’m working on at the moment! However, most excitingly is my upcoming pattern for a beach bag! This is something my customers have requested and I thought it could be fun so decided to give it a go. After surveying my patterns group to find out exactly what they were after in a beach bag, I set to work creating a functional and practical, yet stylish and gorgeous, beach bag pattern which I hope will live up to their expectations! The pattern will be heading out to my testers VERY soon so watch this space for an update once it’s released in February sometime! Ooh another hard question! Um… I guess people may not know that deep down I’m a bit of a perfectionist…! I like things just so, well, as much as I can get them anyway. I think a lot of this flows through into my patterns, the way I write them and the way they’re laid out etc. I can be very particular at times (that’s not necessarily a good thing, LOL!) and like things done just so. Unfortunately at times, this can be the reason it takes me longer to get a new pattern finalised and out to my testers – if I’m not happy with my prototypes, I change things up or even start again, until the pattern is just right and I’m 100% happy with it. Yes, it drives me crazy at times, however it’s just part of who I am so all I can do is embrace it and keep going! 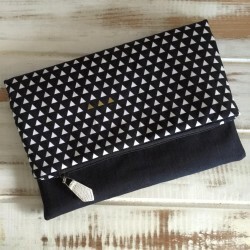 You can purchase Lisa’s pattern for The Statement Clutch as a single PDF HERE or visit her website to see more of her sewing patterns HERE or purchase Issue 9 which contains this pattern HERE.